Engine maintenance made easy with no oil changes needed ever*. Simply check your oil levels, and add as you go. The automotive-style paper air cleaner element and the improved oil fill tube protect the engines from debris, keeping the oil clean, eliminating the need for an oil change. 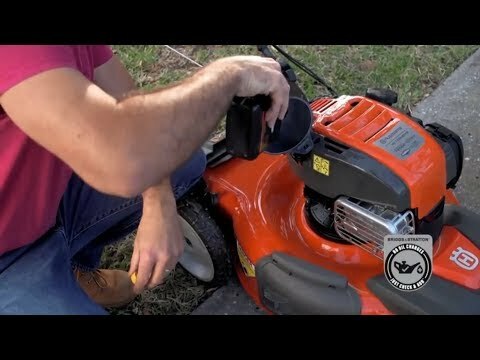 Tool-less access makes changing your air filter a breeze - Snap off the cover, replace the filter, and snap the cover back on, no tools needed. ReadyStart® Starting system with Our Starting Promise™* for no prime, no choke, no worries - just pull for power. Lightest in class for easy maneuverability. Just Check & Add™ does not extend the warranty period. You value your time-and any time saver that makes life easier. No more time consuming, messy oil changes and worries about disposal.